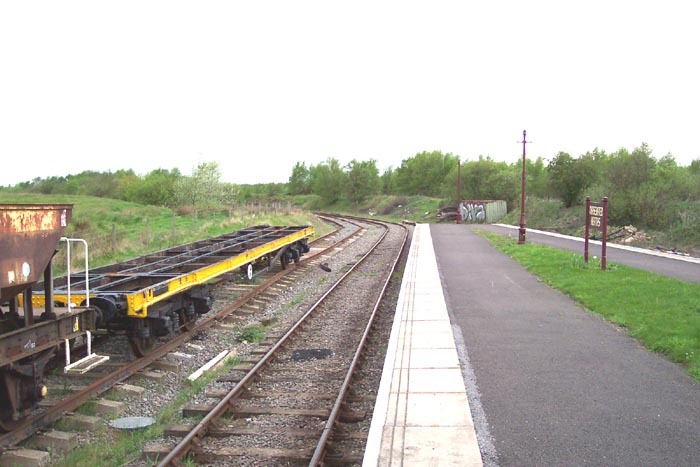 Along with Brownhills West, Chasewater Heaths is the only other station on the line and boasts good facilities. Above we see the station from the car park and my only complaint about this, and the aforementioned Brownhills West for that matter, is their lack of period appearance stemming largely from their recent construction and budget constraints. 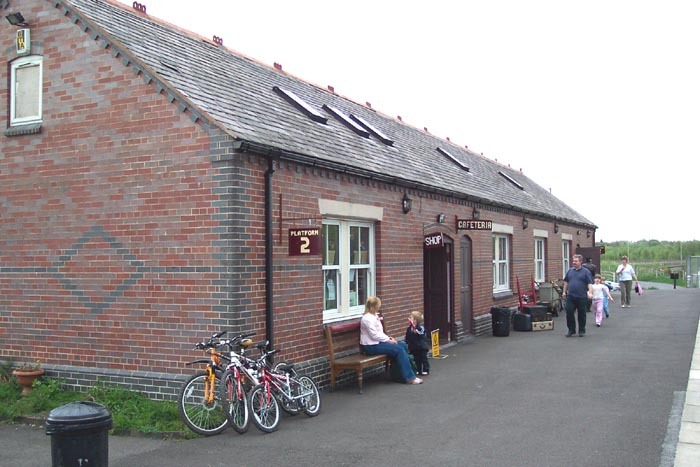 That said, Chasewater Heaths station is much more accommodating than most mainline stations you'd come across boasting, as it does, a good cafe and shop! Above we are on the only 'in-use' platform looking back towards Brownhills West as a train pulls off in that direction. 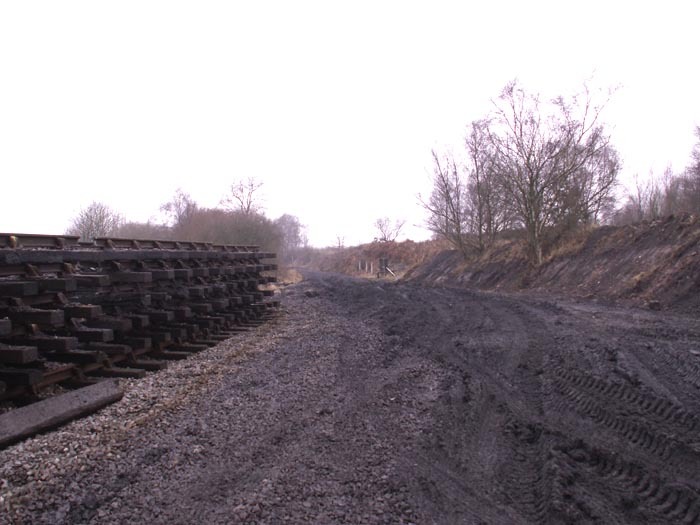 The line here is double-tracked with the line to the far left hosting several coal/mineral wagons in poor repair. Above-right we get a better look at the platform-side of the station building. A 'Canopy Appeal' is underway which, provided careful consideration to the style of canopy is given, could add some character to the structure when enough money is raised for its purchase. 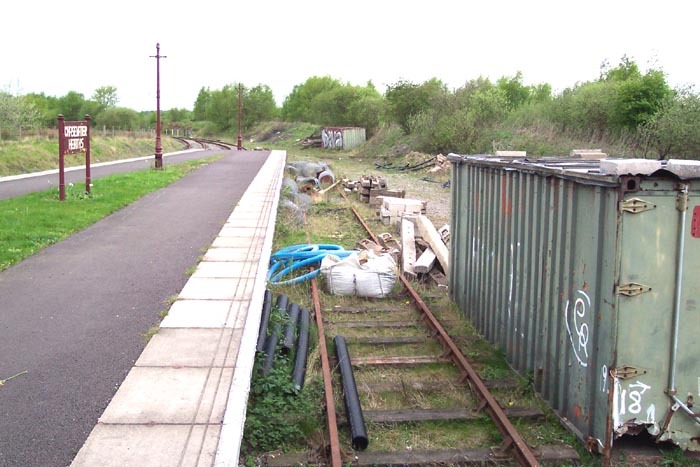 Above-left we have the station building to our rear and are looking towards Brownhills West along the orphaned line feeding a disused bay platform. Quite what is happening to this part of the station was unclear however there are signs of building works and it would be great to see a loco or two standing on this track*. 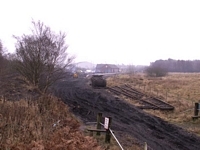 Above-right we are still looking towards Brownhills West and getting a clearer view of the disused mineral wagons and container flat. 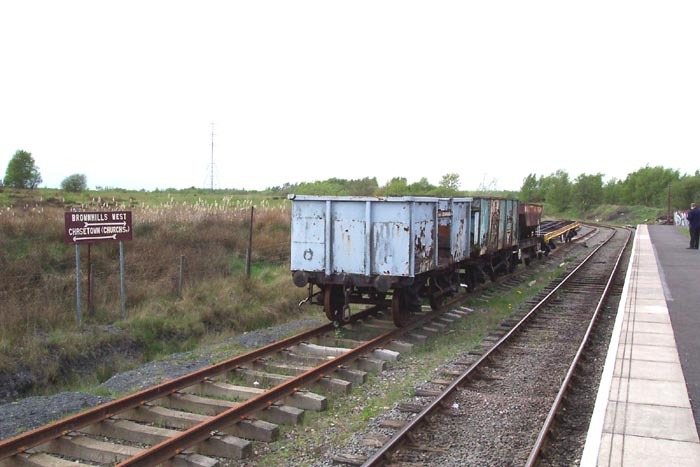 Above-left we again see the rusting mineral wagons that, of course, would have been a common sight in this area as coal mining was the prevalent industry around Cannock. 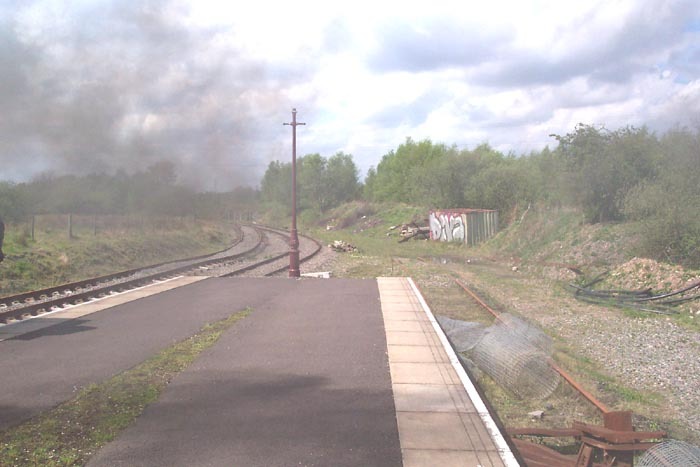 Above-right, through the smoke of a recently arrived Sentinel loco, we can see the double-track curving away towards Brownhills West via the seldom-used Norton Lakeside halt..
Above-left we get a clearer view of the bay platform and above-right the level-crossing for a public footpath through the Chasewater Park in which the railway sits. 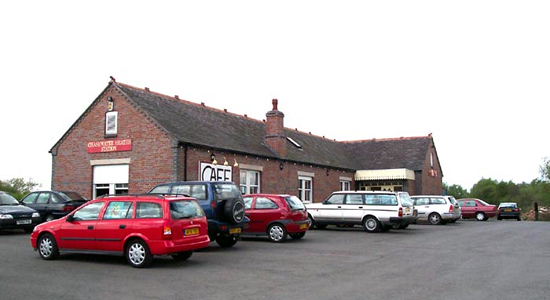 In this view we are looking towards Chasetown Church Street halt. Above we see two more shots taken at the level crossing: left showing the crossing itself and right showing a warning sign giving advice on how to use the crossing. 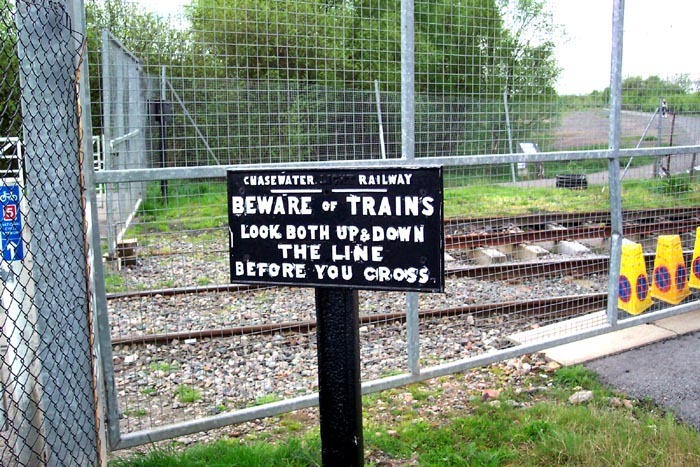 Interestingly, the sign has obviously been owned by the railway for some time as it shows its name as 'Chasewater Light Railway' with the 'Light' painted out: this being the previous name of the organisation. 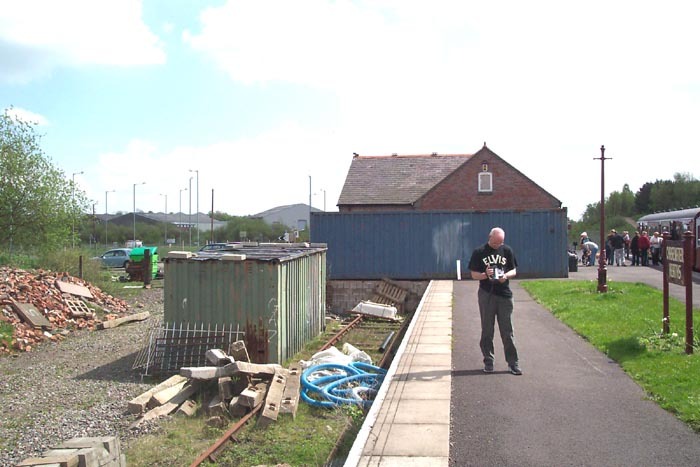 A signal box at the crossing would be a nice additional touch! 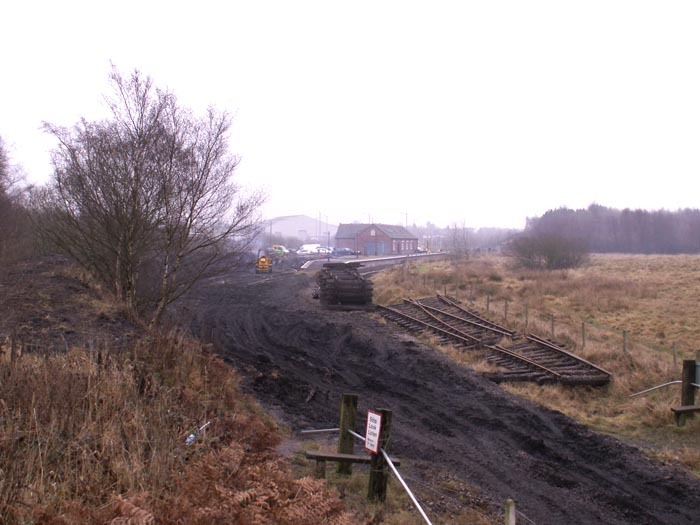 Above-left we see the trackbed approaching Chasewater Heaths on a cold January's day in 2006. 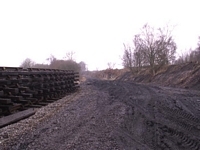 The lines have been lifted for realignment, easing-out of a tight curve to enable larger locos to negotiate the line and, where the disused bay could be seen above (to the left in this shot), carriage sidings are being installed. 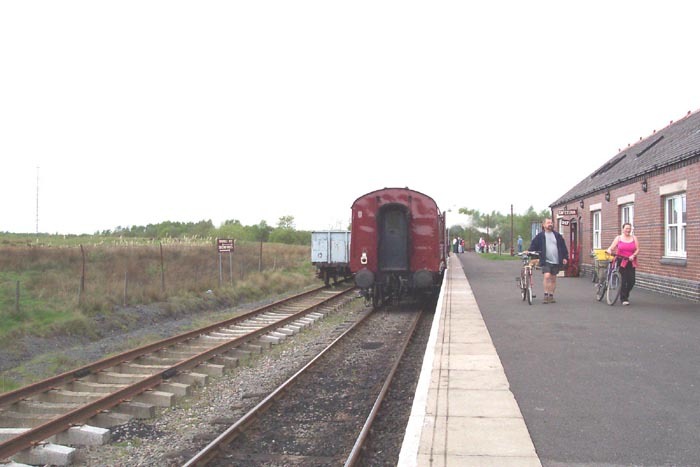 Above-right we are on the trackbed with the station to our rear looking towards Norton Lakeside halt and Bornwhills West station.